Offering quality repair services for clarinets, oboes, saxophones, bassoons, flutes, piccolos and anything else with pads. I work on Trumpets, Trombones, Euphoniums, Baritones, and Tubas. "0000" pseudo-steel wool to make sure all toneholes are as clean as can be. Same; cleaning inside and the surface of the tone hole. Above is some of the early body preparation. 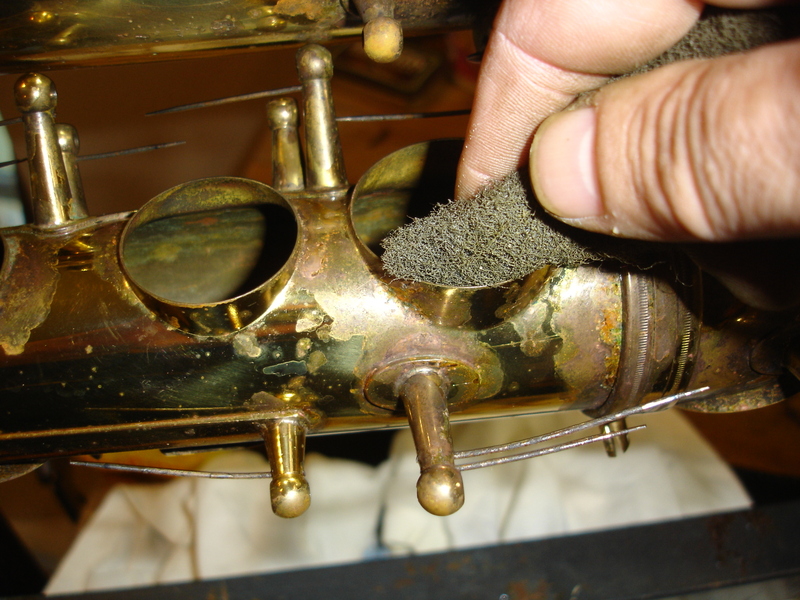 Cleaning out the green corrosion without the use of harsh acids or chemicals that can further degrade the lacquer requires a mild abrasive. 3M makes a four-ought sanding pad that is perfect for the task. 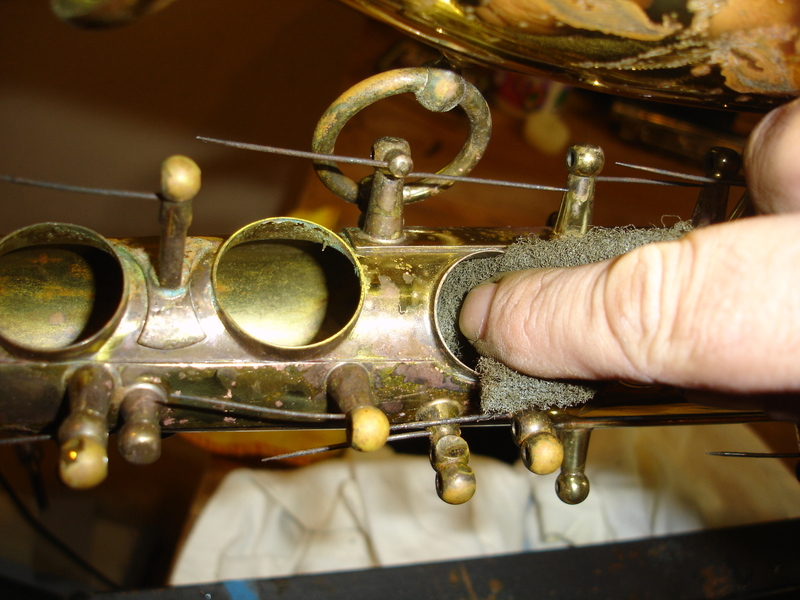 After hand polishing the tarnish off the necked brass, liberal amounts of was is applied. Car wax that your grandfather would have used on his ’54 Chevy. I discussed this in the post “Lack of Lacquer” on October 20. 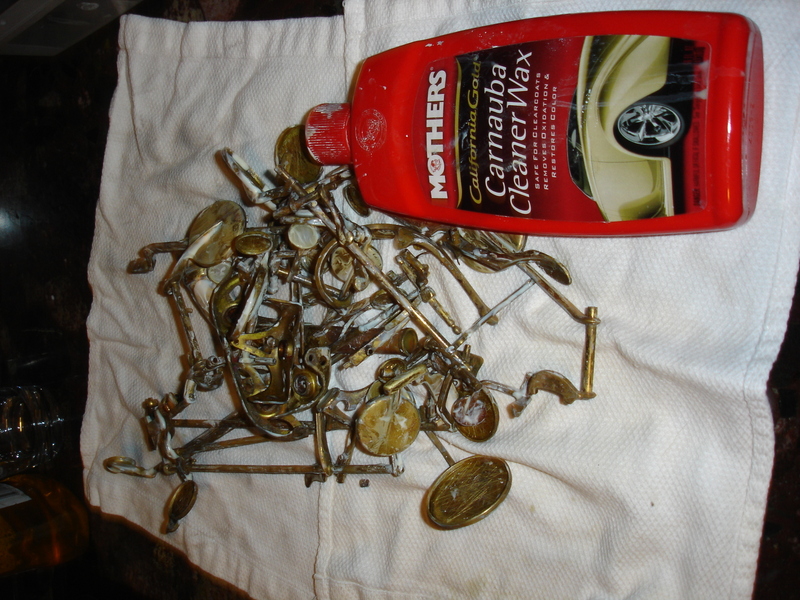 The process is: Clean, polish, wax, wait, wax, wait, wax, wait, then hand polish. Tedious. Not sure about you, loyal reader, but i cannot wait to get into the meat of this project. Or be in a position where i can hire an assistant to do this part of the job!